Fishing The Big Bend Marsh–The Closer You Get, The More Reds You’ll Catch! 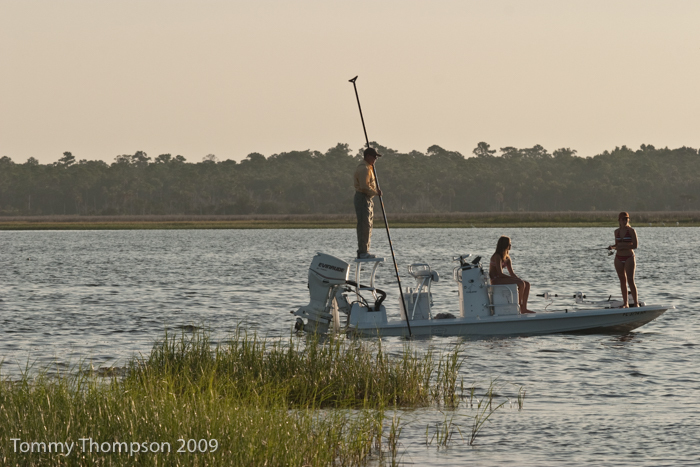 In the fall, high tides flood, pushing water well into the creeks and marshes all along Levy, Dixie, Taylor, Jefferson and Wakulla Counties, on Florida’s Big Bend. We don’t have many mangroves, but we do have lots of spartina grass which offers comfort to redfish, or red drum. 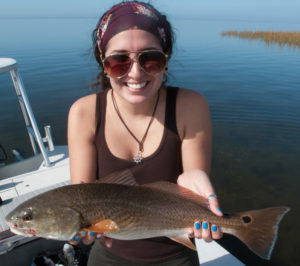 When the reds get back in the “weeds”, it’s often difficult to get a bait to them without snagging. In that case, Texas-rigged soft baits work well, as do weedless spoons. 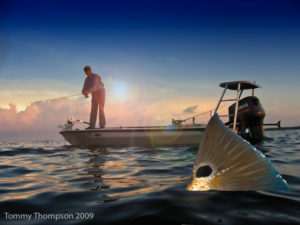 And while spoons are manufactured in many colors it’s “gold” that seems to produce more redfish than any other color. 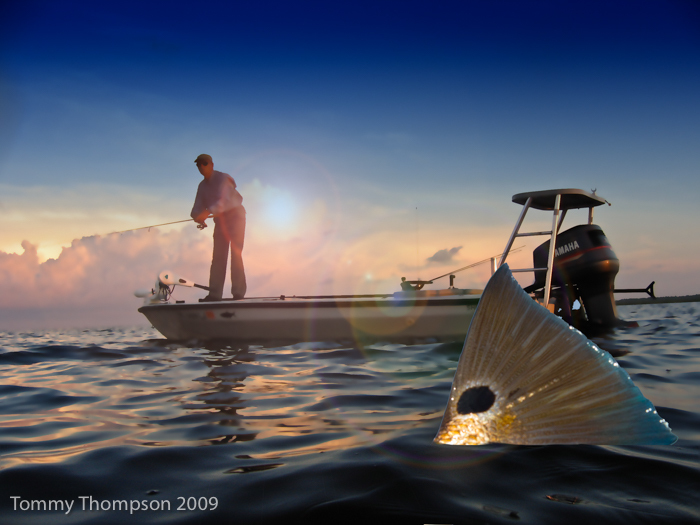 Simply cast them into the grass, paying special attention to look for small “channels” that are just deep enough to hold fish. Also, seeing small bait fish moving along a shoreline are a good sign that reds may be hiding to ambush them. 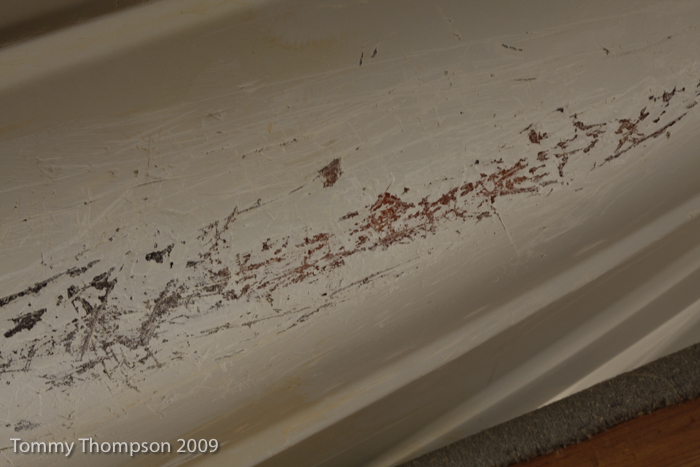 …but scrapes and scratches often show up on your boat’s bottom!